The stars came out Monday night in Hollywood for the world premiere of the highly-anticipated blockbuster, "A Wrinkle in Time." The film is an adaptation of the 1962 science fantasy novel written by American writer Madeleine L'Engle. 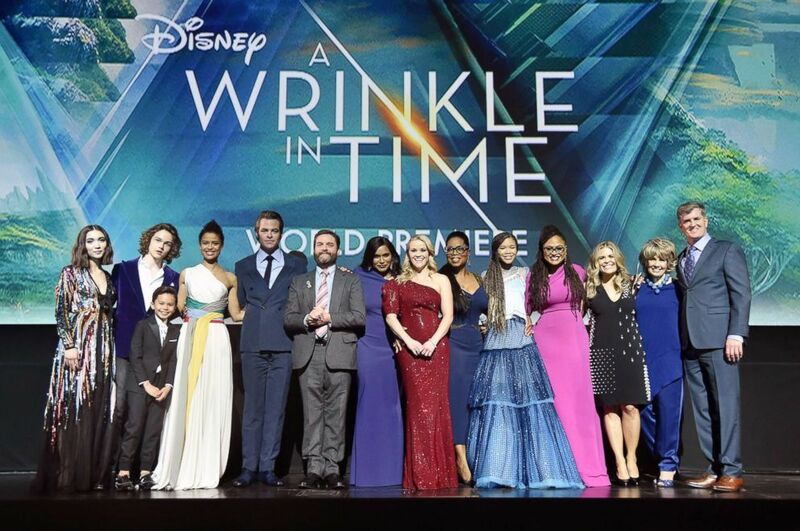 The cast of "A Wrinkle in Time" with director Ava DuVernay, screenwriter Jennifer Lee, producers Catherine Hand and Jim Whitaker pose at the world premiere in Hollywood, Calif., on March 26, 2018. Oprah Winfrey, who plays Mrs. Which in the film, said the story is "about courage and being able to be the best of who you are and to be a warrior for the light, is a story that we're gonna need until there is no longer a planet Earth 'cause the darkness is spreading so fast these days, we need warriors of the light." Chris Pine plays Dr. Alex Murry and gushed about the kids in the cast and their incredible talent. "I think this film is another great reminder that you are enough as a kid," he said. "You are enough. You know, there's no 'there' there. Yes, you'll grow up but your voice now is just as powerful as it will be later on. And when you work together you can achieve miraculous things." 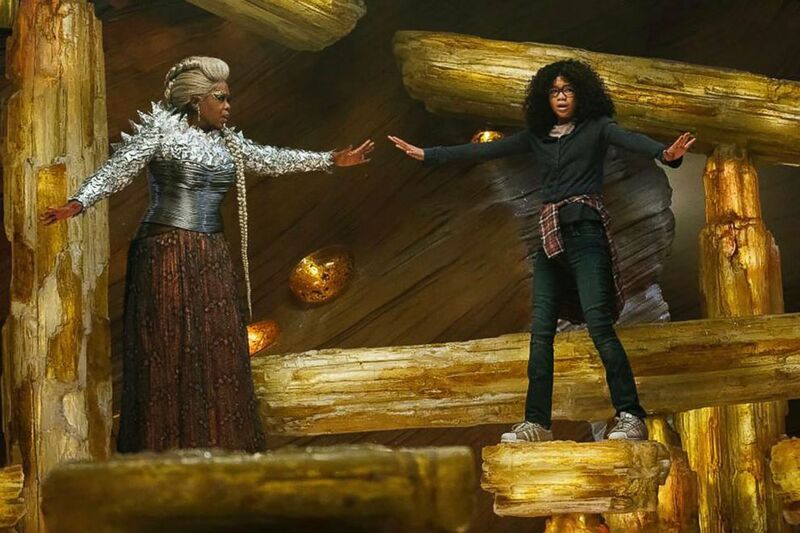 Oprah Winfrey and Storm Reid appear in a scene from in "A Wrinkle in Time." Storm Reid, the 14-year-old actress who plays the film's heroine, Meg Murray, said the story resonates with her generation. “In such dark, divisive, divided times in our country, I feel like this movie is the light for our generation and for people to just know that they can come together and make something so beautiful and be included and be represented,” she said. "A Wrinkle in Time" also stars Reese Witherspoon, Mindy Kaling and Zach Galifianakis. It opens March 9 from Disney, the parent company of ABC News.